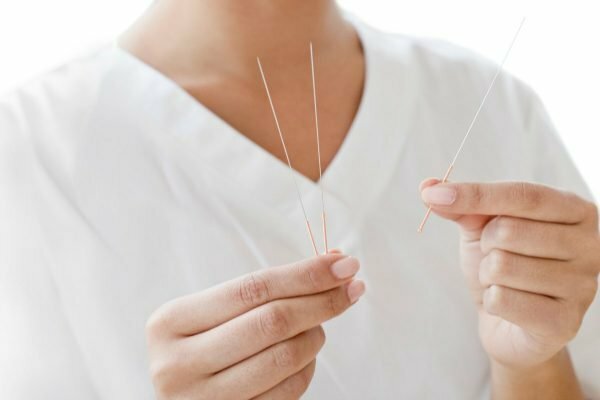 What is acupuncture and how does it work? Three therapists explain. What are the benefits of acupuncture and how does it work? We asked 3 experts. 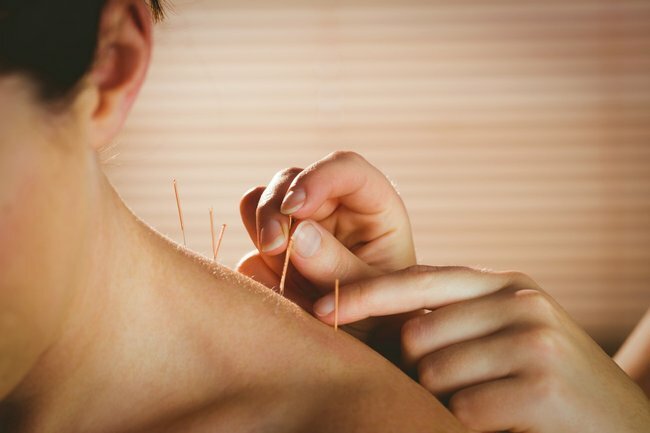 Kim Kardashian, Jennifer Aniston, Gwyneth Paltrow and Madonna are just some of the celebrities who’ve shared the virtues of acupuncture for a range of conditions from better skin to fertility issues. Although it might have once been regarded as a niche treatment, it’s now everywhere. In Australia, most major health funds offer rebates for the treatment and its ability to help remedy conditions like chronic pain, infertility and hormonal issues, and mental health conditions have been widely studied in large clinical trials. But what exactly is the deal with acupuncture points, what conditions is it effective for, and what are the benefits of the treatment? To answer these questions we spoke to three practitioners and academics who told us how the millennia-old practice still holds its own today. Speaking to Mamamia, Discipline Leader for the School of Life Sciences at the University of Technology Sydney, Christopher Zaslawski describes the process of acupuncture as the insertion of very fine, sterile needles into select pressure points in the body which helps to promote the flow of energy, or Qi. This can clear energy blockages and aid in a range of issues from chronic pain management, inflammation and hormonal imbalances. “From a scientific perspective, acupuncture works because the needles produce a sensory stimulation to the nerves in the skin,” he says. Comparing Western biomedical medicine to the Eastern practice, registered practitioner of over 11 years, Ana Chait of The Acupuncturist says the difference between the two schools of thought is in how they analyse the body. “The different terminology we use in Chinese medicine is just a simple way to describe the internal environment or imbalances at a macro scale rather than at a cellular level (which blood tests [and biomedical testing] do best),” she told Mamamia. Describing the practice, Chait says acupuncture uses specific points to stimulate pathways on the meridian system which helps your entire body communicate better. This can sometimes also be described as restoring the balance or flow of energy. "The body is inter-related and we’re looking at stimulating points in the body which can bring circulation to the area," she says. "It can also stimulate the nervous system and there can be a natural chemical or endorphin release which can help with stress management. "For that reason it can be a really useful healthcare tool to help bring the body back into balance if there are imbalances, and help you be at your best and manage the day-to-day factors." How does acupuncture work and what can you expect for your first session? Once you&apos;ve booked in for an acupuncture consultation, your practitioner will ask you to answer a series of questions to determine what kind of treatment will take place. The questions will delve into areas such as your digestion, your appetite, whether you prefer hot or cold climates, and for females, their menstruation. The acupuncturist will also feel your pulse in a number of areas in your body as well as look at the &apos;coat&apos; of your tongue. "The tongue and the pulse are the two most unique diagnostic indicators in Chinese medicine," says Zaslawski. "For the tongue we look at the colour, the thickness of the coat and for the pulse we look at the rate, the rhythm, the pulse contour, how the pulse feels under the finger, and together we combine it with the information we&apos;ve gathered from the interview. "We also look at the person too. We look at the shape of the body, the colour of the face and so on and combine all of that to come up with a Chinese medicine diagnosis." From then on, the practitioner will administer the acupuncture, however they may also supplement this treatment with a custom-formulation of Chinese herbs and as well as diet and lifestyle changes. This is done to improve your "overall health," says Chait, who recommends you consult the Australian Acupuncture and Chinese Medicine Association (AACMA) to find a fully qualified, and properly trained, acupuncturist. "The best practitioners will guide you and help you understand your body. When it comes to your lifestyle, even some simple changes on what you’re doing on a day-to-day basis can make a pronounced difference to your overall health picture." 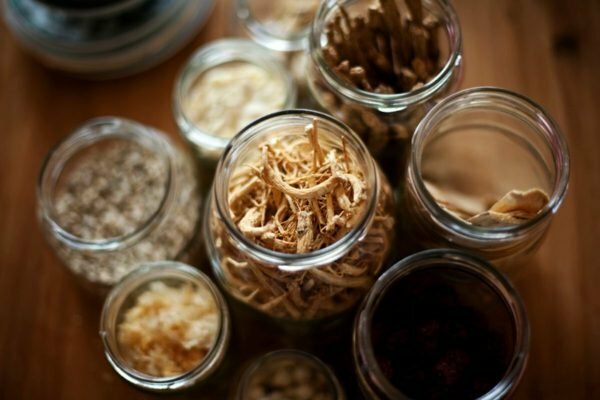 A selection of traditional Chinese medicinal herbs. Image: Getty. If you have a diagnosed condition from your doctor or health care practitioner, Chait says it can be helpful to bring your biomedical testing to the appointment too. 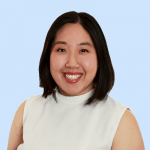 She states that there&apos;s a move towards a system that better integrates acupuncture and Traditional Chinese Medicine (TCM) modalities into our current health care system, and says she often gets patient referrals from doctors and other healthcare professionals. "They may not always be able to fully explain how acupuncture works at a cellular level, but they can see the benefits for many of their patients who use it concurrently with modern medicine," she says. "We&apos;re moving away from how [and whether] acupuncture works and onto how we can better integrate acupuncture into our health care system. It&apos;s a clinical medicine and science cannot always explain everything within its parameters but we know acupuncture works for a number of ailments and this is backed up with research." How to talk to your family about their health history. It&apos;s the conversation you need to be having. Acupuncture for muscle and join pain. Specialising in the treatment of musculoskeletal issues through acupuncture, Zaslawski says the majority of patients that present to the UTS Acupuncture clinic present with problems relating to pain. "I get a lot of people coming in with knee pain, osteoarthritis of the knee, shoulder problems, rotator cuff tears, back pain, non-specific mechanical back pain and neck pain. I also treat a lot of shoulder stiffness,and people coming in and complaining about stiffness in their shoulder muscles and trapezius. That kind of reflects computer use these days," he says. "People seem to respond to that quite well. "Most people get some benefit from the treatment. Some things go away completely, others get reduced to a fairly minimal level so that they’re able to cope or continue on with what they need to do." His observations are also backed up by a 2018 study in The Journal of Pain that found acupuncture to be an effective treatment for "chronic musculoskeletal, headache, and osteoarthritis pain," using data from 20,927 patients across 39 trials. Acupuncture for fertility and hormonal issues. When it comes to acupuncture for issues around pregnancy and conception, Chait says in her experience, acupuncture may be helpful for some, particularly when patients fall into a "grey area" of &apos;sub-fertility,&apos; where there&apos;s no medical reason why they&apos;re not conceiving, but they&apos;re finding it hard to fall pregnant. "Sometimes people can have various other conditions which may not directly relate to their fertility, but this could be an indication of imbalances in the body," she says. "We’re looking at the body as a whole system in Chinese medicine." However, when it comes to acupuncture and IVF, a landmark Australian study published by the Journal of the American Medical Association (JAMA) said that although acupuncture can help reduce stress and increase relaxation for women undergoing IVF, the research found that the treatment didn&apos;t improve the success rates of IVF. Despite this, lead researcher Professor Caroline Smith of Western Sydney University, does say the studies had its limitations. "Although our findings do not support acupuncture as an efficacious treatment compared to sham, some studies suggest reproductive outcomes may be improved when acupuncture is compared with no treatment," she said, speaking to the Royal Australian College of General Practioners. "These findings … [show] women [in the study] generally feel a lot more relaxed, less stress and generally feel better about themselves while they do an IVF cycle. And women will say they highly value those outcomes. "They [those results] are an important part of the care that they receive as part of going through and dealing with the rigours of an IVF." Similarly Chait states that while acupuncture can support women going through the IVF process, she stresses the importance for prospective patients to seek a consult before committing to the treatment. "It’s all so individual. That’s why it’s always wise to book in an initial consult and speak about your situation, then your practitioner can assess how beneficial treatment can be," she advises. "It is very individual, there is no one size fits all with any treatment." Acupuncture for anxiety, depression and mental health. When it comes to using acupuncture as a way of alleviating anxiety and depression, practitioner and UTS academic, Shohreh Razavy, says she&apos;s seen the treatment effectively used in patients who are struggling with "emotional disorders". "Based on my experience, I’ve had a couple of patients come with struggling with anxiety and I&apos;ve found they get an immediate effect," she says. "Acupuncture is a holistic medicine, you sit with, interview and interact with the patient before even starting the treatment," she explains, and says that can help create the trust between patient and practitioner. According to findings from a 2017 study published in UK&apos;s National Institute for Health Research, when used as an intervention for depression, the study also found acupuncture to be a cost-effective method to aid patients suffering from depression. The study found acupuncture to be comparable to traditional counselling, with results apparent after three months of treatment. Chait says acupuncture can also help minimise the negative affects of our increasingly busy and stressful lifestyles, which she says is something that can impact multiple areas of our health, from our reproductive, digestive or psychological health, to muscle tension, and our ability to sleep. "[During treatment] there can be a natural chemical and hormonal response such as endorphin release which can help us with stress management," she says. "In our busy lifestyles, people aren’t getting enough rest and down time, which is something our bodies really need. "We know our hormones replenish at night when we’re in deep rest, and we know that when we’re well-rested our bodies tend to be more responsive to change and treatment." What are the limitations of acupuncture treatment? Although acupuncture has been a proven legitimate and efficacious treatment option for many conditions, Razavy does note that of course, it has its obvious limitations. "Like any medical system, you would never claim acupuncture could treat cancer patients and other medical conditions like diabetes. We would never advise people to stop taking their medication and have acupuncture instead," she says. "Instead acupuncture can [and in some cases, should] be used in conjunction with other medical interventions." Despite this, she believes that anybody and everybody can benefit from the treatment in one way or another. "The goal of acupuncture is to promote and restore the balance of energy in your body and the benefit of acupuncture can expand to multiple areas." Have you tried acupuncture or do you want to try acupuncture? Tell us about your experiences in a comment below. Want more beauty and lifestlye stories? Visit our newsletter page and sign up to "You Beauty" to get our beauty guru Leigh Campbell’s best tips and products every week in your inbox (see one of her newsletters here).